Lame Adventure 19: What’s wrong with this picture? There are times when all I need to do is enter my building’s vestibule, and there, a lame adventure, will be waiting. 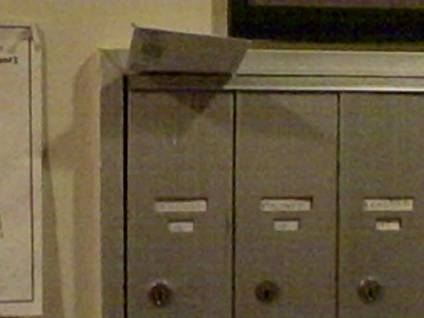 Fortunately, this is not my mailbox, but I happen to know that the previous tenant who had that mailbox was Mamie Gummer. Who’s that, you ask? Try the actress-daughter of fourteen-time Academy Award nominated-loser, Meryl Streep. * A very courteous young woman; Mamie held the door for me once and I thought, “Huh, that girl looks a helluva lot like Meryl Streep.” Possibly, Mamie decided she could no longer bear residing in a building where the letter carrier slammed the mailbox shut on the mail. Well, I continue to live in this building, and there are times when my mail looks like whoever placed it in my mailbox did so with a plunger. 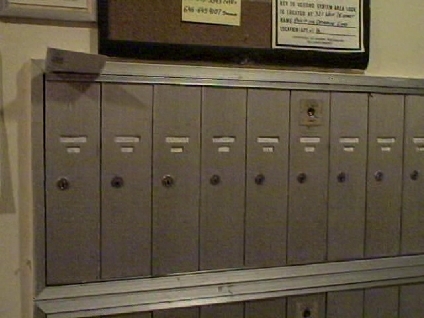 What happened to the art of delivering mail? 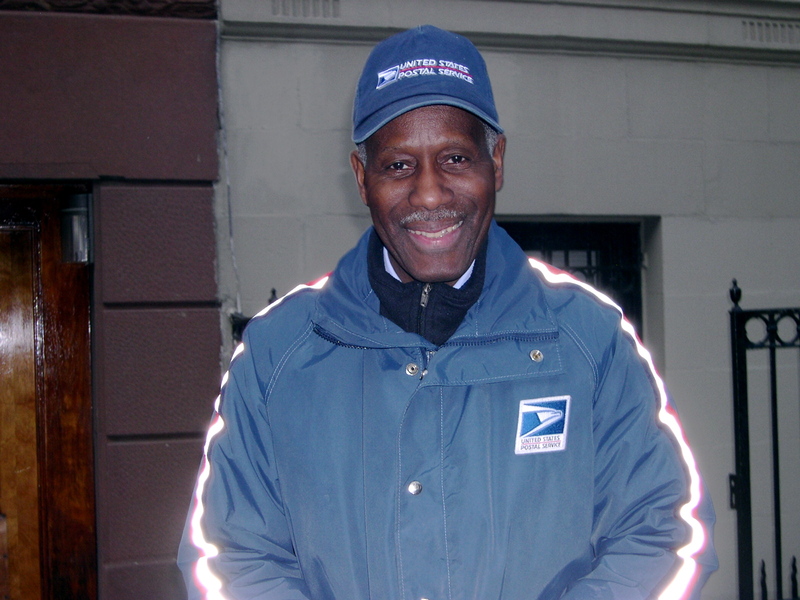 Pictured below is Leon E. Jones – the Rembrandt of letter carriers. For more years than I care to reveal, Leon delivered my mail with dedication and consistency. His was one of the first numbers I input into my cellphone back in 2000, Leon was so vital to my well-being. I had always vowed that I would move by the time he retired, but I also vowed I would move to Canada both times George W. Bush became president. This proves that my vows are hollow, for I have yet to even visit Canada and I am now the third longest residing tenant in my building. Leon the Lion of Letter Carriers retired in 2006, and I remain, living here in the era of the inferior delivery. *In anticipation of hearing from my fellow movie maniacs, I am aware that Meryl’s been nominated a total of sixteen times and has won twice, but can any of you, aside from Milton, take The Lame Adventures Challenge and name the films where she scored her victories off the top of your head(s)? This entry was posted in Humor and tagged leon e. jones, mamie gummer, meryl streep, rembrandt. Bookmark the permalink. Ah sweet Leon. Did I ever tell you I worked for the USPS briefly? That’s something about you I did not know, but I’m sure you loathed wearing a uniform that could even make Kate Moss look like Kate Smith. That uniform hates women.